Next month bassist Avishai Cohen, pride and joy of the Israeli jazz scene, will release a new CD, a duo with the very fine, very young Israeli pianist Nitai Hershkovits. I love the idea of a piano/bass duo (Ellington/Ray Brown’s “This One’s for Blanton” pops to mind as my favorite; Bill Evans/Eddie Gomez’s “Intuition” is also pretty fine). But what really caught my eye is the album’s title, “Duende”, which threw me back to an obscure favorite of mine. 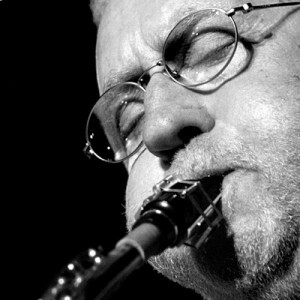 Lee Konitz (b. 1927) is my hands-down favorite living jazz artist. A couple of years ago I had the honor and privilege of interviewing him at length, which I described in SoTW 037, where I poured out my heart at length about how much I love Mr Konitz’s music. He began his professional career in 1947, and at 85 is still a major creative force, a living legend. In 1984 Lee was at the top of his game musically, very much in sync with Danko. They had been performing all over Europe for months, travelling by train, picking up local rhythm sections wherever they played. They ended one tour in Glasgow, and went into the studio “on a cold Thursday evening, no guests, no distractions, just the two musicians preparing to deal with material they had worked and reworked” during the tour. The resulting CD “Wild as Springtime” is a rather obscure work in an illustrious corpus. Even the liner notes gloss over the fourth track, written for Lee by Chick Corea. But for me, ‘Duende’was love at first hear. It wrenched my heart the first time I heard it, and has done so every time since. Oh, boy. 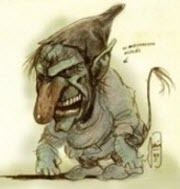 I’m no maven of Spanish mythology, diabolical goblins, or Chick Corea’s reading of them. 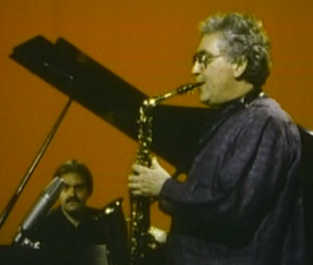 But this cut of Lee Konitz speaks to me with all the passion and magic in the world. I don’t know which ‘Duende’ inspired the name of Avishai Cohen’s new CD. I sure hope it’s this one. But even if not, it’s my pleasure, ladies and gentlemen, to present you with five minutes of that certain magic: Lee Konitz, ‘Duende’. Konitz is a genius, no doubt, and i’m glad you agree that Duende is one of his finest. Duende: how completely beautiful. Thank you for sharing your thoughts about music. This piece is special; “a little magic” for sure. Just lovely.